1/3 Phase of 600K LFT Airdrop Distribution! Thank you all for your support and trust in Qbao Network, and thank you for your love of the Token Bank Increments. According to the purchases of the Token Asset Managements from 20th July to 3rd August, 200K of LFT Airdrop will be distributed. It is expected to be released before the end of next week. Of course, for users who do not have the opportunity to participate in the first phase of the airdrop, Don’t be Sad!!! 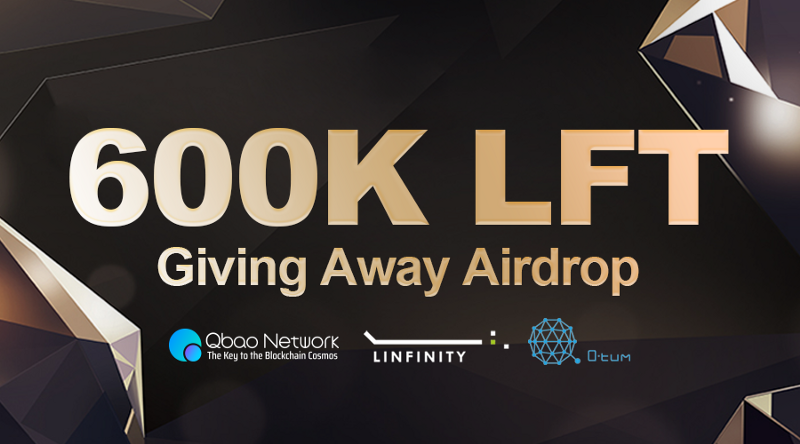 We also have the second and third phase LFT Airdrop Waiting for being distributed according to the purchase amount of QBT and Qtum Token Management products every two weeks!! At present, Qbao Network’s token QBT is in the voting stage on CoinEx. Vote for QBT and claim more Airdrops!